EVOO skin cleanser? Say what? This way to healthy, glowing skin. Each week leading up to the event, we’re putting our own spotlight on local brands. 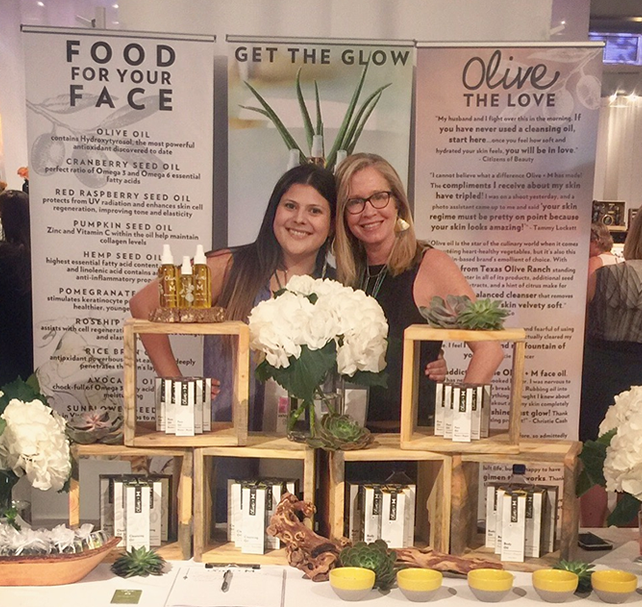 This week Mariska Nicholson, founder of Austin-based Olive + M, breaks the misconception that oil skincare makes you greasy. Oh, and she also has insanely beautiful skin. Most people don’t think about putting oil on their skin. What lead you to start Olive + M? Six years ago I started working on formulas in my kitchen. I had just gotten really curious about this product I was using in Italy, and olive oil was the main ingredient. People didn’t really understand using oil on their skin back then. I’m just really passionate about sharing the powerful benefits of plant-based oils. Mother Nature gave us all this stuff that we have gotten really far away from. Nothing in my formulas was made in a lab.We source our extra virgin olive oil locally from the Texas Olive Ranch. It’s awesome that plant-based oils can actually cleanse your skin. Explain how your products work. Most of the time when people tell me that they have oily skin, they’re using cleansers to dry their skin out. Your body makes the oil that’s on your skin—it’s called sebum—because it’s a protective layer for your skin, so it’s there for a reason. When you take it away, then your skin freaks out and makes more. It starts to overcompensate. Olive oil molecularly is really close to your skin’s natural sebum so when you put it on your skin, it recognizes it as a lipid just like your natural oil. Olive oils are also packed with antioxidants, omegas, and vitamins, so you’re feeding your skins well. It basically balances out your oil production and at the same time plumps the lipid layer and encourages collagen production. What do you recommend for people first starting oil-based skin care? When you first start using them, you kind of have to be a scientist with your own skin and experiment. “Can I do it morning and night or can I only do it at night?” I put the oil on my skin sometimes three times a day, but I have very dry, mature skin. My assistant who’s 25 only uses it at night. 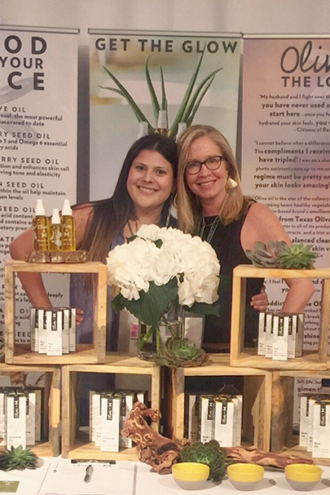 What do you expect from the Indie Beauty Expo next week? I’m hoping to open up the Dallas market when we get up there. We did the New York expo last September, and it was awesome. We loved it. After New York, they announced they were going to do Dallas for the first time and we were like, “Oh my God, that’s in our backyard.” It’s an awesome show and group of people. This whole indie beauty thing is turning into a huge movement to get people to read ingredient decks, whether it’s your nail care, your skin care, or what you’re shampooing your hair with.